In a normal eye, light enters and passes through the lens. The lens focuses that light into a sharp image on the retina, which relays messages through the optic nerve to the brain. If the lens is cloudy from a cataract, the image you see will be blurry. Other eye conditions, such as myopia, cause blurry vision, too, but cataracts produce some distinctive signs and symptoms. Blurry vision at any distance is the most common symptom of cataracts. Your view may look foggy, filmy, or cloudy. 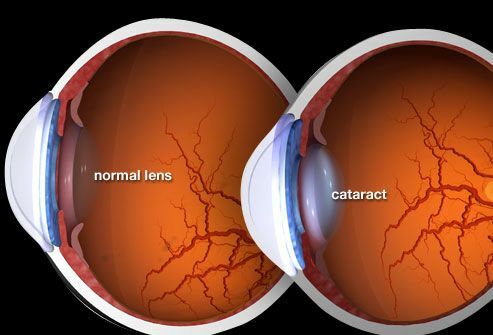 Over time, as the cataracts get worse, less light reaches the retina. 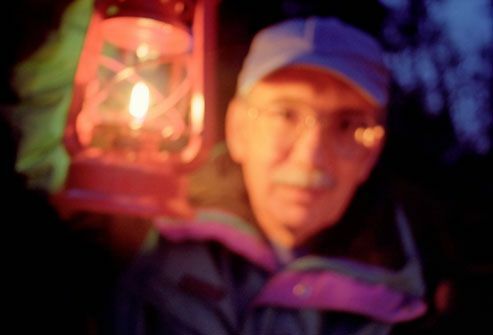 People with cataracts may have an especially hard time seeing and driving at night. 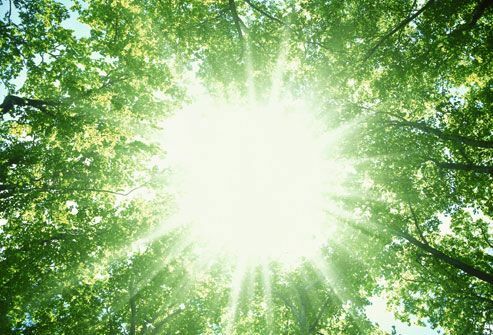 Another early symptom of cataracts is glare, or sensitivity to light. You may have trouble seeing in bright sunlight. Indoor lights that once didn’t bother you now may seem too bright or have halos. Driving at night may become a problem because of the glare caused by street lights and oncoming headlights. Sometimes, cataracts can cause double vision (also known as diplopia) when you look with one eye. This is different from the double vision that comes from the eyes not lining up properly. 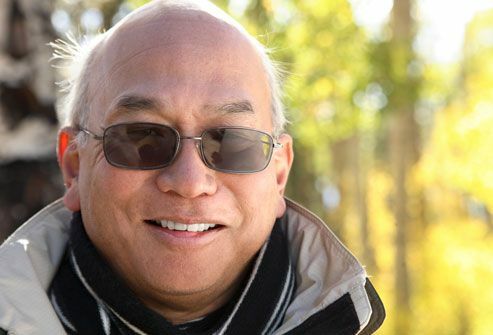 With cataracts, images can appear double even with one eye open. 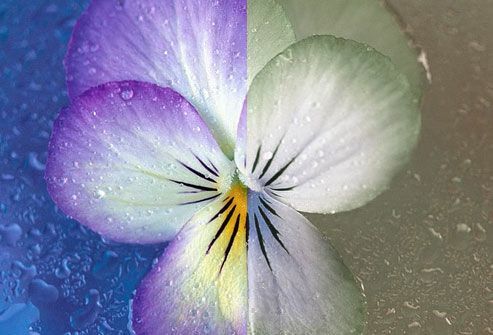 Cataracts can affect your color vision, making some hues look faded. Your vision may gradually take on a brownish or yellowish tinge. At first, you may not notice this discoloration. But over time, it may make it harder to distinguish blues and purples. Sometimes, a cataract may temporarily improve a person’s ability to see close-up, because the cataract acts as a stronger lens. This phenomenon is called second sight, because people who may have once needed reading glasses find that they don’t need them anymore. As the cataract worsens however, this goes away and vision worsens again. 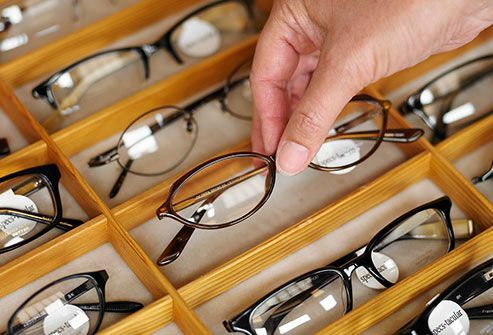 Frequent changes to your eyeglass or contact lens prescription can be a sign of cataracts. This is because cataracts are usually progressive, meaning they get worse over time. 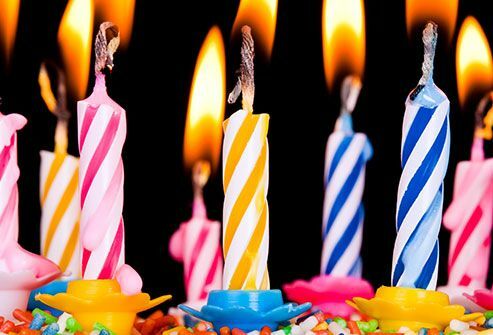 The majority of cataracts are related to aging. More than half of Americans over 65 have cataracts. Babies are sometimes born with cataracts, also called congenital cataracts, or children may develop them as a result of injury or illness. 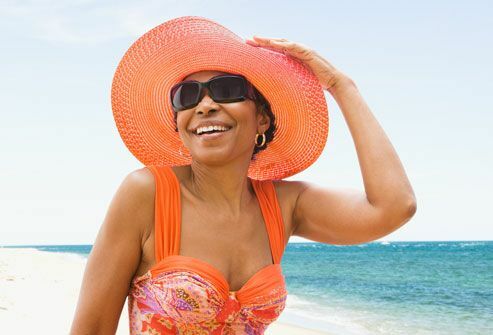 Exposure to Ultraviolet (UV) light can also increase the risk of cataract and other eye conditions. Most cataracts can be diagnosed with an eye exam. Your eye doctor will test your vision and examine your eyes with a slit lamp microscope to look for problems with the lens and other parts of the eye. The pupils are dilated to better examine the back of the eye, where the retina and optic nerve lie. If you have vision loss caused by cataracts that can’t be corrected with glasses or contact lenses, you may need surgery to remove the cataracts. In cataract surgery, the cloudy lens is removed and replaced with an artificial lens. The surgery, which is done on an outpatient basis, is safe and extremely effective at improving vision. If cataracts are present in both eyes, surgery will be done on one eye at a time. 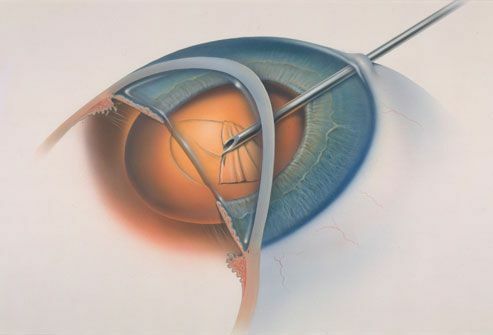 There are two types of cataract surgery. The more common type is called phacoemulsification (phaco) or "Ultrasonics." The doctor makes a tiny incision in the eye and breaks up the lens using ultrasonic waves. 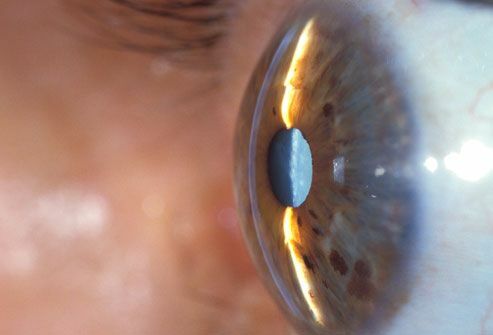 The lens is removed, and an intraocular lens (IOL) is put in its place. In most modern cataract surgeries the IOL eliminates the need for thick glasses or a contact lens after surgery. 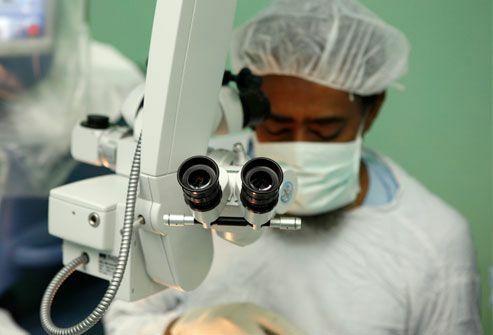 Recent developments in cataract surgery can correct both near and distance vision. 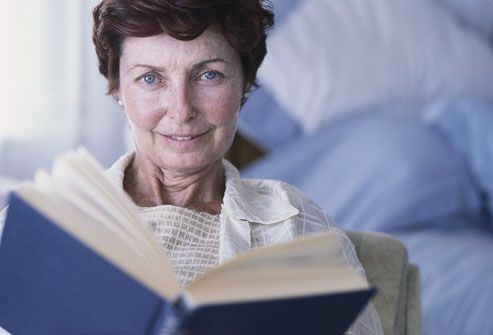 They minimize or eliminate the need for reading glasses after surgery. 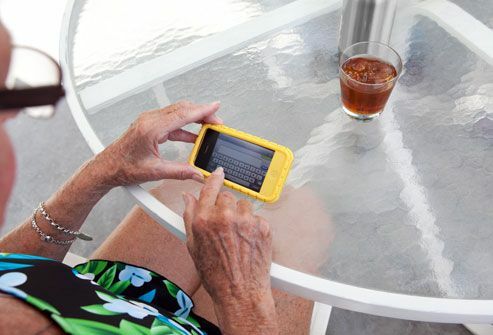 Conventional "monofocal" lenses only correct for distance vision, meaning reading glasses are still needed after surgery. Multifocal IOLs (Intraocular Lens) can be an option in some patients to help improve both distance and near vision. "Toric" implants are available to correct astigmatism. 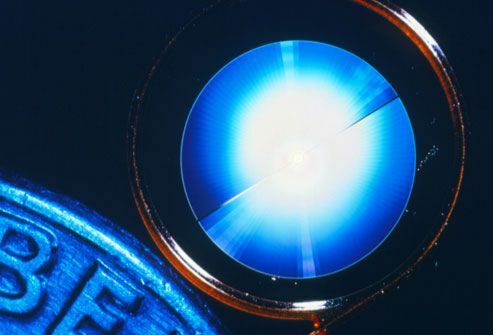 A lens for better color vision is in development (shown here next to a dime). For a few days, your eye may be itchy and sensitive to light. You may be prescribed drops to aid healing and asked to wear an eye shield or glasses for protection. It'll take about eight weeks for your eye to heal completely, though your vision should begin to improve soon after surgery. You may still need glasses, at least occasionally, for distance or reading -- as well as a new prescription after healing is complete. 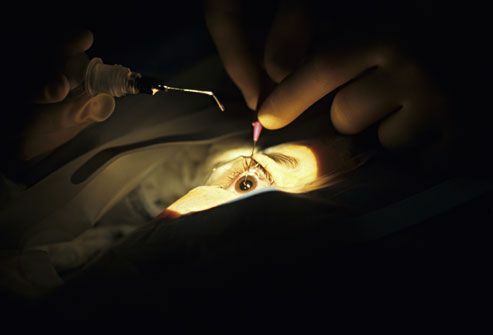 Complications from cataract surgery are rare. The most common risks are bleeding, infection, and changes in eye pressure, which are all treatable when caught early. Surgery slightly raises the risk of retinal detachment, which requires emergency treatment. Sometimes, lens tissue left after surgery and used to support the IOL can become cloudy, even years after surgery. This "after-cataract" is easily and permanently corrected with a laser. Should You Have Cataract Surgery? Whether or not to have cataract surgery is up to you and your doctor. 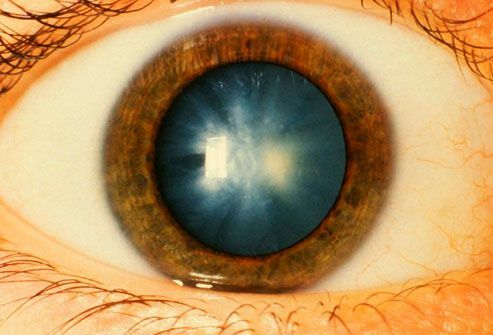 Rarely cataracts need to be removed right away, but this isn’t usually the case. 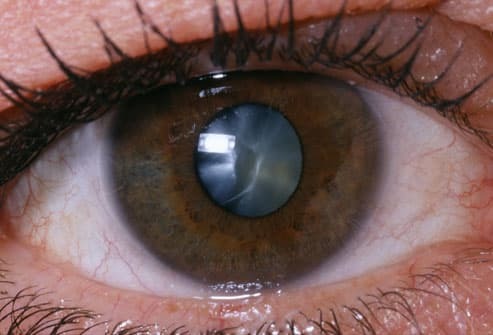 Cataracts affect vision slowly over time, so many people wait to have surgery until glasses or contacts no longer improve their vision enough. If you don’t feel that your cataracts are causing problems in your day-to-day life, you may choose to wait. Always wear a hat and sunglasses in the sun. National Eye Institute: "Age-Related Eye Disease Study--Results." WebMD Medical Reference: "Cataracts and Your Eyes."